What makes a successful story collection? Given the breadth of the genre, it’s hard to generalize, but for most of us, I think, a collection that feels like a unified whole is most satisfying. Even if a reader only dips into the book from time to time, reading pieces in no particular order, the book should feel like the stories belong with each other, that the whole is greater than the sum of its parts. 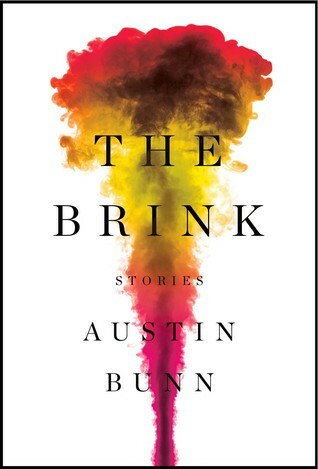 Austin Bunn’s debut, The Brink, is such a collection. It isn’t a novel in stories, like Olive Kitteridge. The stories don’t share a setting, as in Knockemstiff, and aren’t populated by recurring characters, as in A Visit from the Goon Squad. And yet there does seem to be a unifying purpose in the stories, as well as thematic congruence. There is also a consistency of voice and quirkiness of plot; these are narrators who are slightly unbalanced, in worlds that are a bit twisted. Think George Saunders’s Tenth of December or Kevin Wilson’s Tunneling to the Center of the Earth. The book starts off with a bang. “How to Win an Unwinnable War,” which originally appeared in The Atlantic, is about Sam, the neurotic son of separated parents, who, in 1987, enrolls in a summer school course called How to Win a Nuclear War. Sam is deeply concerned about the coming nuclear holocaust, but he’s got other things to worry about, as well, such as trying to get his parents back together—by lying and disabling his mother’s car. Like both sides’ chances in a nuclear war, though, Sam’s efforts are doomed. In the class, one of the other students says “I hate this game. All it is is getting killed.” “Very good,” the professor responds, “so what are we learning?” Exactly. There are no winners. We’re on the brink (hence the book’s title) of a nuclear war, figurative or otherwise, but we’re also on the brink of disaster in “Griefer,” a story partially told in videogame-speak, in which an unemployed gamer is bringing his game world to an end and making a momentous personal discovery at the same time. More fireworks await in “Getting There & Away,” in which a couple on their honeymoon in Bali deal with the aftermath of the Jimbaran Beach terrorist bomb attack (2005) as well as a metaphorical bomb waiting to go off in their relationship. The end is also nigh in “The End of the Age is Upon Us,” about a particular wacky doomsday cult (they communicate via tuning forks) and a love affair that, by definition, can’t survive. More disasters unfold in “Hazard 9” in which protestors clash with a mountain top mining company’s destruction of the environment. The guy in charge of the destruction has already managed to destroy his own life, so he doesn’t have much left to lose. “Typically, nothing made Leland feel more executive, more ascendant, than the unmaking of a ridge.” Mountain top removal gives him a sense of power, but he’s become reckless. On the brink. Perhaps my favorite story in the collection is “Ledge,” which takes us, literally, to the brink of the world as a sailing vessel reaches the edge of the flat earth: “The sea slapped lightly against the Elena. We had entered a white calm, the horizon crouched behind a mist. But as I listened, below all of this came a faint, wide roaring, like the rumor of a waterfall.” Being explorers, some of the sailors cannot resist the urge to go farther and see what they can see. Soon enough, the whole crew shares in the discovery. The Brink is an inventive, smart book that does what the best story collections do. Entertaining, at times chilling and always thought-provoking, it is more than just a compilation of short fictions. Instead, it’s a unified experience, stories that benefit from their proximity and work together.